As a prime supplier of the automotive industry’s Process Compensated Resonant Inspection (PCRI) equipment for ITW-Magnaflux, we know automotive part testing. Traditional automotive manufacturing NDT methods inspect for known issues, and only test a sampling of parts. Yet failures continue to exist. Adding Vibrant’s revolutionary PCRT testing to your NDT inspection routine allows you to quickly test all parts and immediately identify potential issues, eliminating the need for expensive destructive testing. Unlike standard NDT, which can many hours for a single part, Vibrant tests parts in a matter of seconds, comparing data from the whole part against all others. Comparative analysis quickly identifies parts out of conformity, even on microstructural and chemical levels. We deliver game-changing reliability improvements while eliminating costly destructive testing, providing reliable part streams to please your customers and end-users. 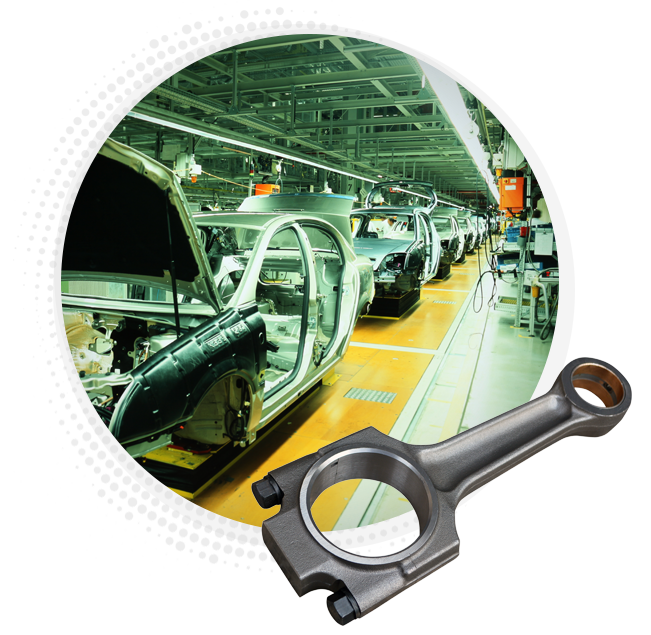 The automotive industry’s high-volume part output requires fast, accurate testing. Resonance allows for automated high-speed large volume testing of every part, saving considerable time and labor while increasing reliability. PCRT assures each part, not just a sampling, has consistent metallurgy, leading to increased quality and safety while reducing failure risk. Ensure all critical components, not just a sampling, are as strong as the whole. PCRT technology supports parts manufactured under a large variety of processes. Learn more about how Vibrant can reduce your costs and risk in the automotive industry with our advanced resonance testing.